This well-established Rancho Cucamonga Area tanning salon, which is likely the most established in the area, is firing on all cylinders with respect to its ideal location, its freeway access, its customer parking and its varied service offering. This salon provides its client the best in late model high, medium and low pressure indoor tanning beds and stand-up units, as well as a custom airbrush tanning option. In addition, the salon has established a formidable electronic fund transfer (EFT) to provide its owners a steady monthly recurring revenue base, while allowing its customers a hassle free payment plan. To complete its full suite of customer service offerings this salon also offers its loyal customers day spa services, body wraps and massages. Location and Facilities: This 2,000 square foot facility leases for $6,500 per month including common area maintenance expense (CAM) on a lease valid until June 2017. All of the salonâ€™s furniture, fixtures and equipment are owned and will transfer in the sale. One bed lease has a $20k balance with monthly payments of $714 for 2.5 yrs. This lease may be assumed by a buyer or paid off in the sale (in addition to purchase price). 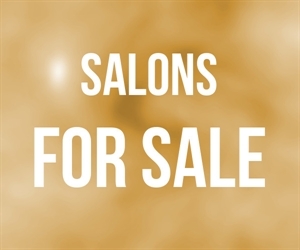 Market Information and Position: New owners will seek to continue with the business model that has served this salon so well for over 5 years. That said, they will seek to continue to bolster the automatic electronic fund transfer program, while launching an aggressive advertising and marketing campaign to further solidify the loyalty of existing and former customers, but also to introduce the salon and its varied services to new clients. In addition, while the current owner is not an advocate of UV free indoor spray tan booths (e.g. Mystic Tan), many salon owners have found them to be profitable investments; as such, new owners may seek to evaluate such an acquisition. Competition: This salons coveted location with fantastic freeway access, an oversize parking lot and complementary neighbors will likely provide a good deal of protection from increased Competition for some time. Seller with carry $40k with $55k down.